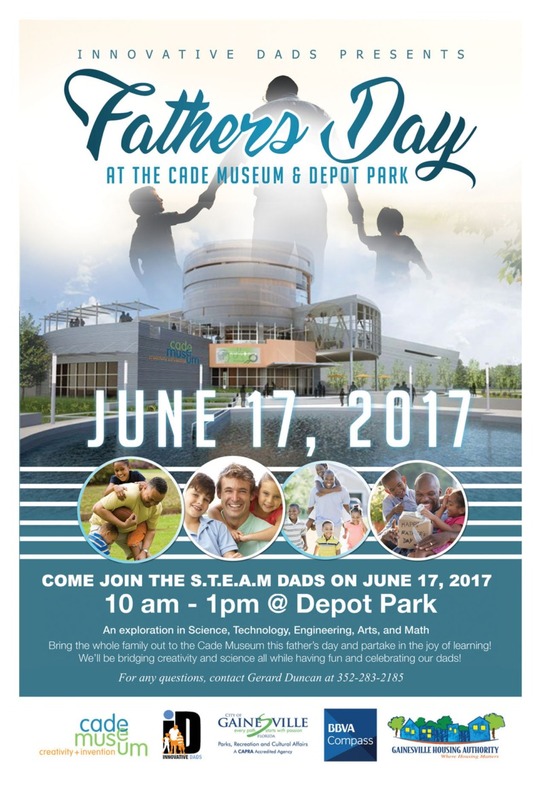 Join the S.TE.A.M Dads on Saturday, June 17, for an exploration in science, technology, engineering, arts and math. Bring the whole family out to the Cade Museum this Father’s Day and partake in the joy of learning! We’ll be bridging creativity and science all while having fun and celebrating our dads. For questions, contact Gerard Duncan at (352) 283-2185.